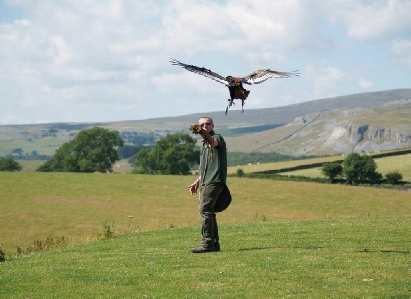 The Yorkshire Dales Falconry Centre was created in 1991, since which time it has offered the public a close up experience of many magnificent birds of prey and allowed them to see them flying free in the lovely Yorkshire Dales. 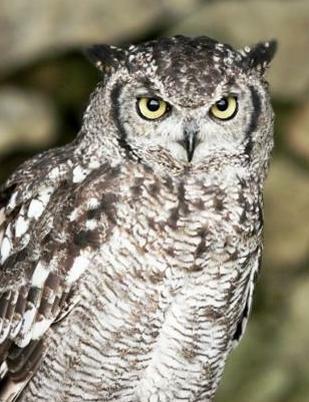 The Centre is now part of an international breeding and conservation programme that hopes one day to restore all species to their native habitats and protect them from the environmental destruction that they have suffered in the past. The compact layout of the centre’s buildings maximises the open spaces that we need to fly and train our birds. The exercise, regular food and good diet that they enjoy means that they live longer than their wild cousins, but we will try to help them re-colonise their traditional habitats so they will not always have to rely on sanctuaries for the survival of their species. 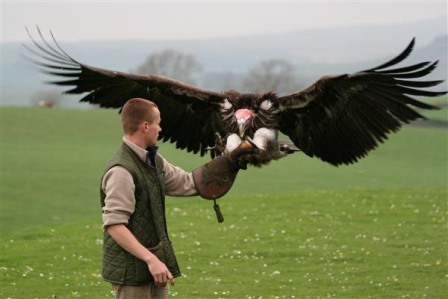 Our handlers have to understand the needs and the moods of our birds in order to demonstrate their incredible abilities and the centre now has an experienced team of falconers and carers that we are proud of. We use both interior and exterior demonstration areas and welcome individuals, couples, families, parties and schools to our briefings and displays. 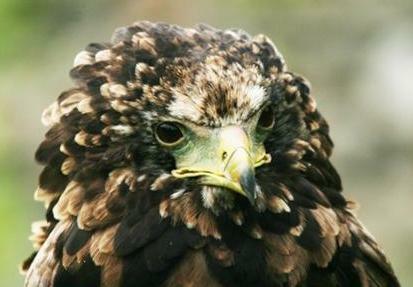 We are constantly being told how worthwhile people have found their visit and how they never before appreciated the role of birds of prey in nature or realised how interesting they could be. 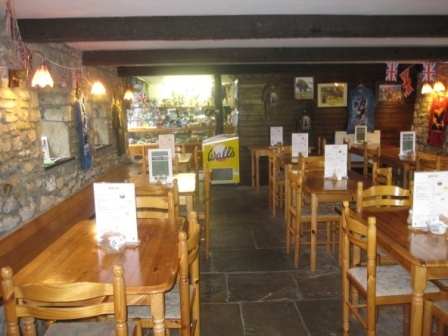 Mrs Feather’s tea-room is a popular feature at the centre and caters for childrens’ birthday parties. Children can also enjoy themselves in Henry the Hedgehog’s Adventure Playground.